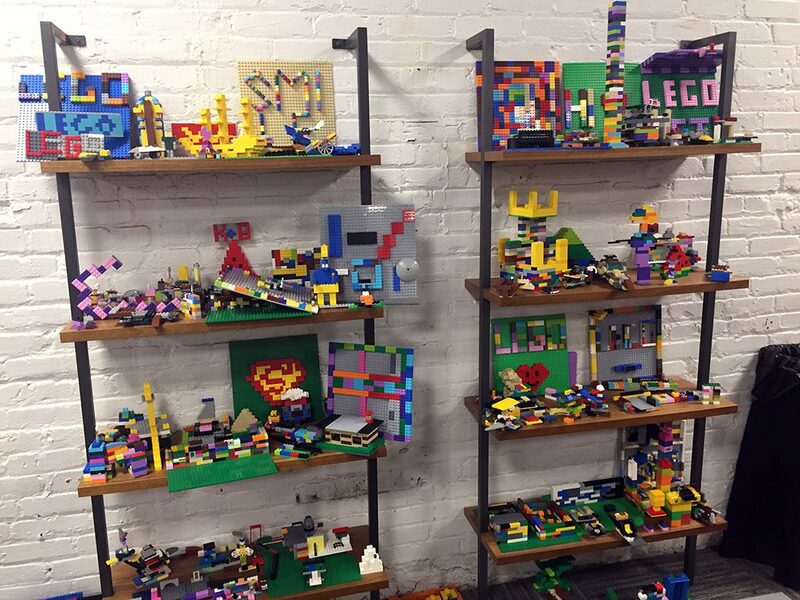 Scott February 21, 2018 February 22, 2018 Comments Off on Why We Love Legos! Like most children of the ‘80s, I grew up playing with Legos. The walls of my bedroom were lined with castles and spaceships and a monorail and a pirate ship – it was a pretty neat sight, and yet I think if you were to tell 10 year-old me that 37 year-old me would have an even bigger Lego collection as an adult, he probably wouldn’t know what to do with himself! If you want to just unwind and follow the directions, building a Lego set can be a great way to relax and work a different part of your brain … I personally do this a lot when I need a break from writing. If you want to let your imagination run wild, you can pretty much do whatever you want … this is something that I’m really enjoying with my 4 year-old son because though he can’t quite work from the instructions yet, he’s already built some impressive rocket ships! If you’re trying to change the world, there are all sorts of fascinating stories about scientists using Lego bricks to explore structural theories and build out models of the things that they’re researching. And of course, if you just want to play … once again, your imagination is the limit and sometimes you just need the smallest spark like a single minifigure to kickstart an entire story to play out on your living room carpet. For me, Legos can be a big stress relief … that is, when I’m not stepping on the ones that my kids have left scattered across the carpet like razor-sharp landmines, mind you! 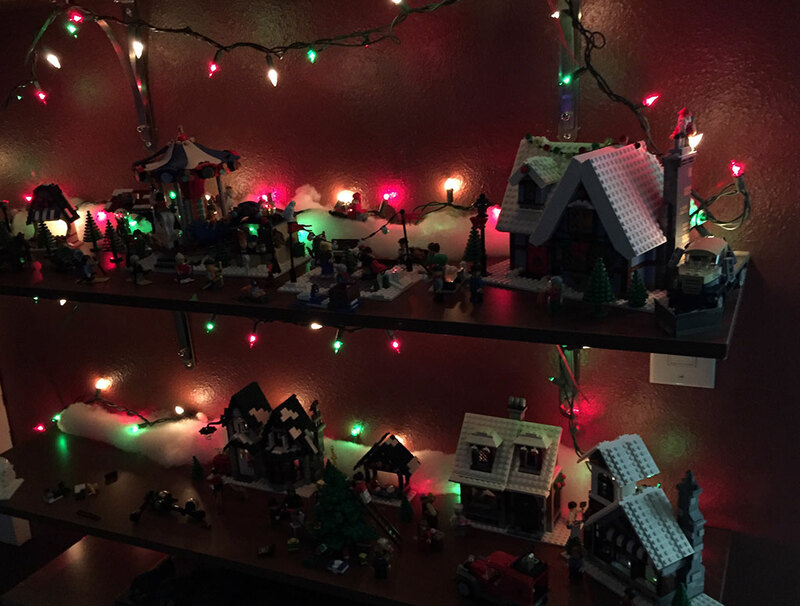 The Sevener Family Lego Holiday Village grows in size just about every year! There’s something about the precise and ordered organization of opening a new Lego set and spreading out across a clean surface that’s comforting when I’ve had the kind of day that juggling a family and multiple jobs can produce. It sounds a little strange, but building a Lego set means that I can still be creative … but I don’t really have to think about it while I’m doing it. I just have to search for one piece to put into place, then another, and so on. Being able to unwind and do that for an hour or two, and still have this finished, three-dimensional product of my efforts in my hands afterwards is sublimely satisfying – possibly because there will be times when I’m really struggling with something that I want to write and hours later be faced with absolutely nothing but a blank screen for my efforts! It’s really been fun watching my oldest son Christopher developing his own fondness for Legos because it’s shown me an artistic and creative side of him that doesn’t necessarily surface with other types of play. 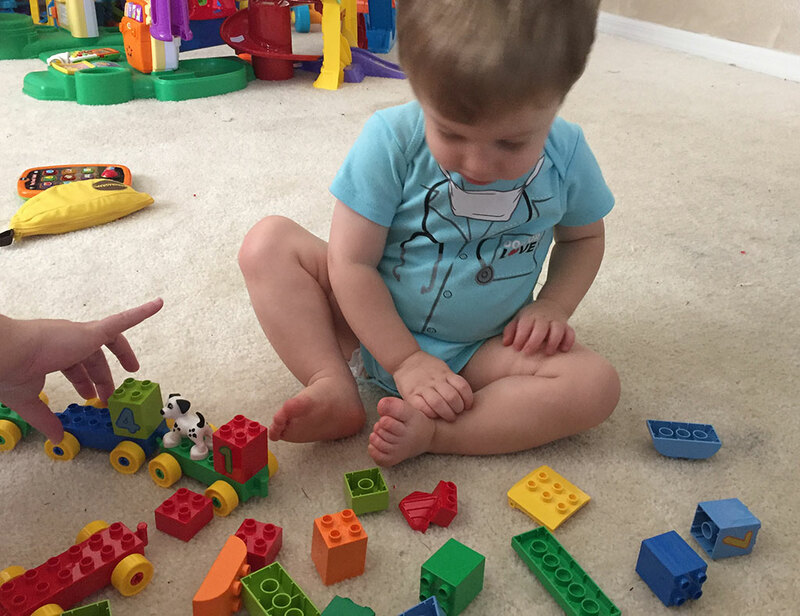 He started playing with a combination of Duplos and pretty much any of my own Lego sets that were on the lowest shelves in our playroom – the ones that I didn’t realize he was starting to get tall enough to reach! – but as the pile of sets that he was allowed to play with grew and grew, I would start to find him mixing the different parts together where you’d have Superman’s head on the body of an Uruk-hai from the Lord of the Rings or Buzz Lightyear riding shotgun in a train with an alien queen! I knew he was hooked when one day I put on The Lego Movie for him and about a half hour in I looked over to find him laying on the floor, playing with one of his trains while he watched Emmet save the day as the boy in the film played around the streets of his Dad’s “forbidden” Lego constructions! 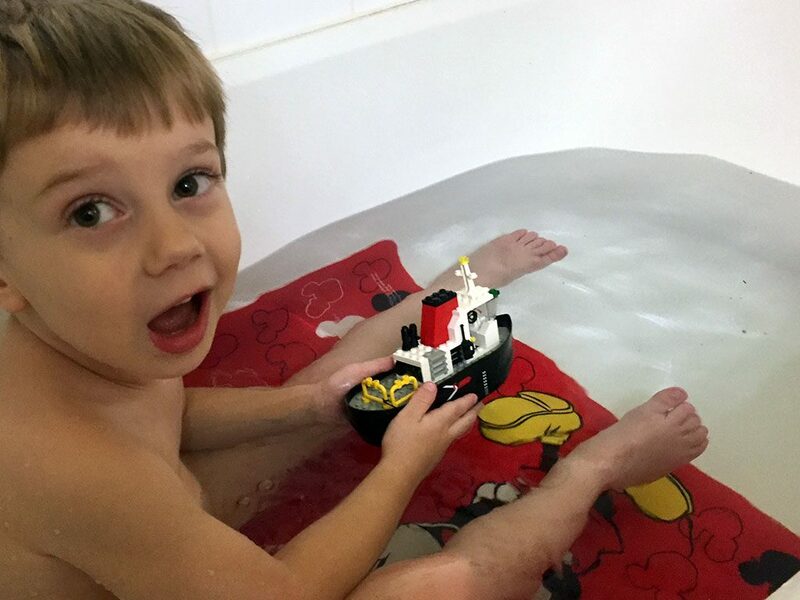 Christopher, age 3, playing with the same Lego boat that I used to play with in the tub as a kid! 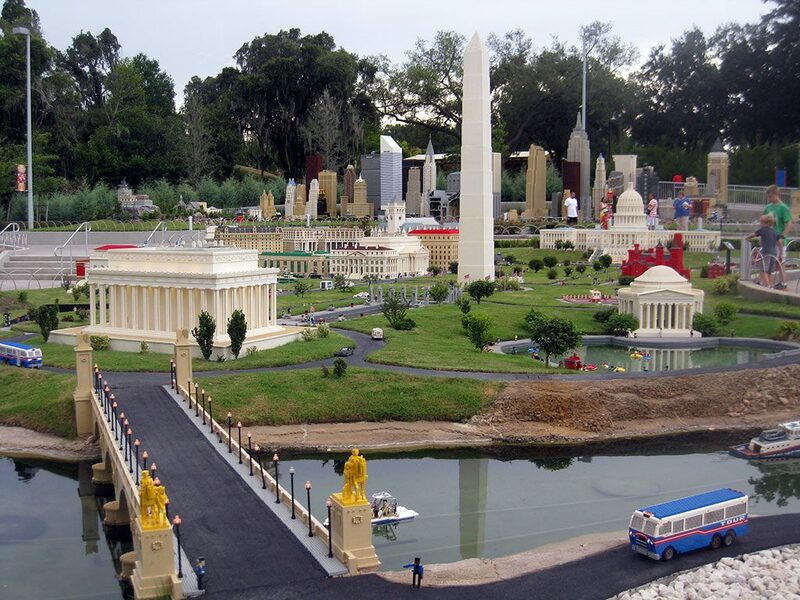 People do so many amazing things with Legos. 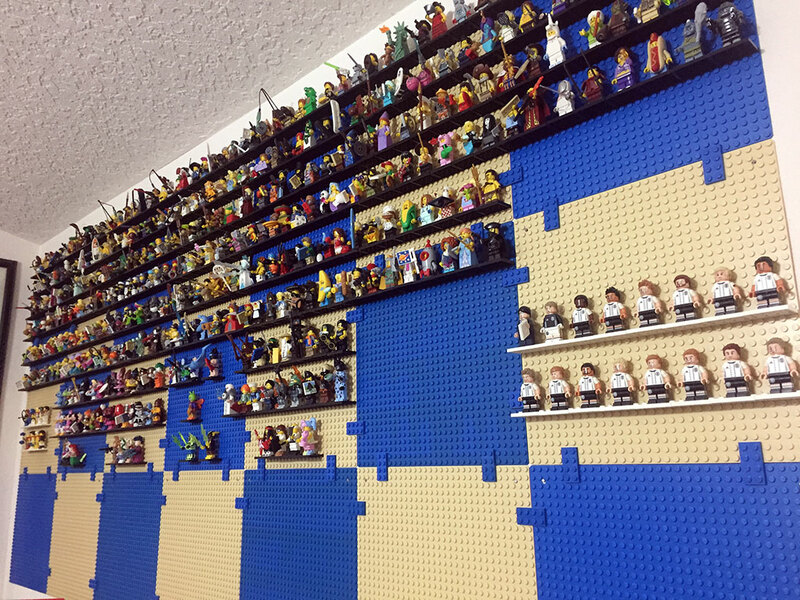 Started in 2011, my collection currently stands at 411 Lego minifigs – and takes up an entire wall! 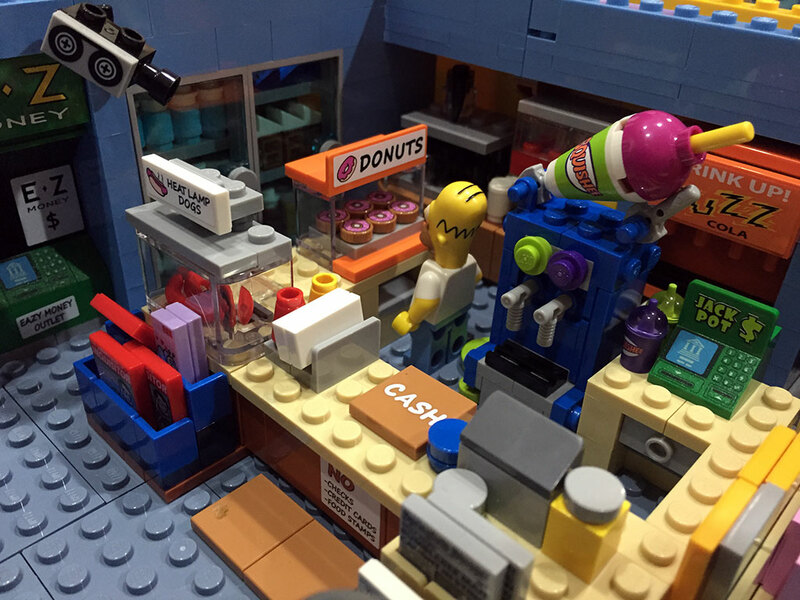 If you’re lucky, you could even create something that’s so cool that Lego decides to take it on and manufacture it so that other fans can buy it for themselves! There aren’t many other toys from my own childhood that not only are my kids interested in themselves, but that I can honestly say that 20 – 30 years from now, their own kids might very well have a blast playing with, too! I’m a firm believer that our creativity is one of the many parts of our lives that we should never stop exercising, and Legos open up so many great doors to get our minds working and thinking and exploring, it’s hard not to love these iconic, interlocking plastic bricks. 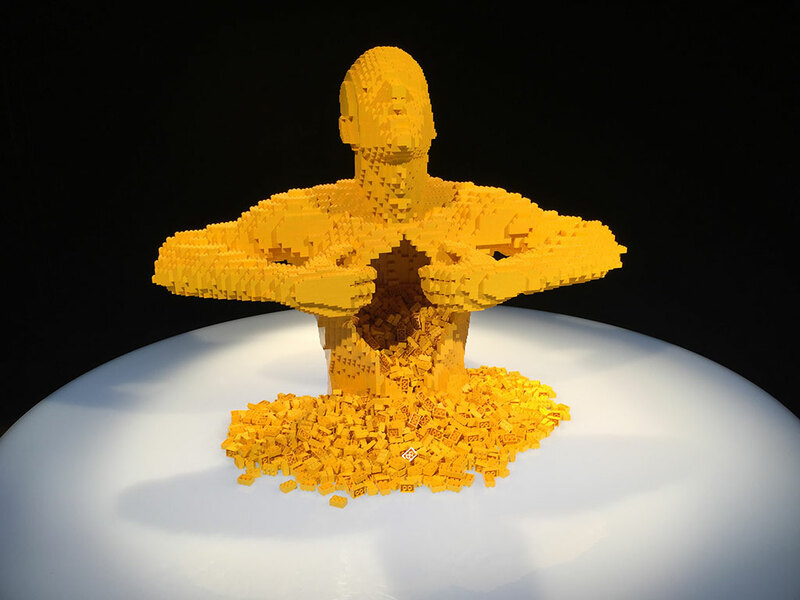 At the end of his art exhibit, brick artist Nathan Sawaya invites kids to build and share Lego creations of their own!